This is a rectangular Lion Super Test porcelain sign. This particular Lion Super Test sign is white with red and black text. 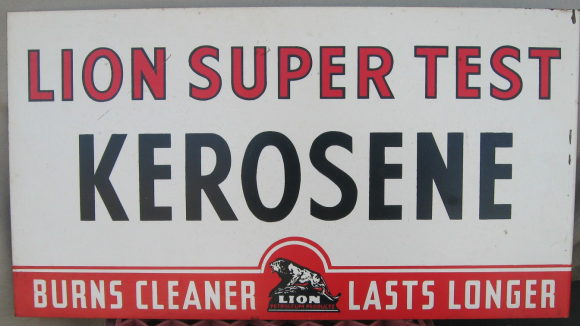 It reads, “Lion Super Text Kerosene, Burns Cleaner, Lasts Longer” and features the Lion Petroleum Products emblem at the bottom of the sign.